Call Now For 24/7 Immediate Service! 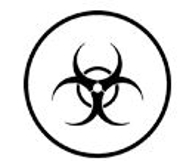 JCS Bio-Hazard Services is a specialty bio-hazard clean-up service in Arnold, Pennsylvania. Our professional staff properly and safely remove hazardous materials and toxins that could create a dangerous and unhealthy environment to you, your tenants, or employees. JCS Bio-Hazard Services technicians are trained and certified to manage flood aftermath, crime scene cleanup, and hoarding removal. Our goal is to ease your mind and help your healing process by thoroughly cleaning your property and getting you back to normalcy. JCS Bio-Hazard Services technicians arrive in unmarked trucks, are very discreet, and practice confidentiality and professionalism. Our certified staff are OSHA and EPA compliant and have extensive bio-hazard training. We know many of our clients are experiencing trauma, therefore we work quickly to remove and dispose the bio hazard properly, clean the location, and sanitize and deodorize the property completely. JCS Bio-Hazard Services is insured and bonded for your protection. Copyright © 2018 jcsbiohazardcleanup.com All rights reserved.